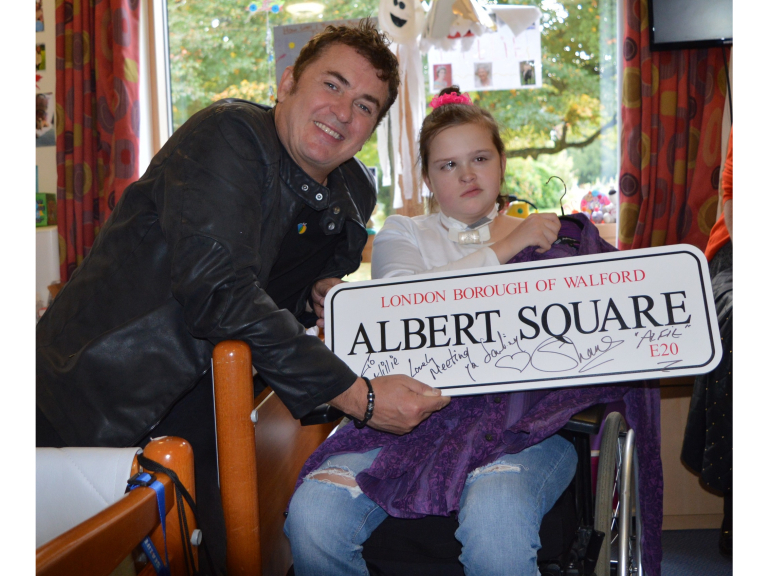 EastEnders star Shane Richie dropped into The Children’s Trust today (Wednesday 19 October) to wish 12 year old Millie a very special happy birthday mid-way through her brain injury rehabilitation following a brain tumour. Millie, from South Croydon, has been staying at The Children’s Trust, the UK’s leading charity for children with brain injury, for six months and is celebrating her birthday during her stay. Having always been a huge EastEnders fan, Millie couldn’t believe it when Richie walked into the room armed with gifts and an Alfie Moon smile. Millie was a happy and healthy child until she was diagnosed with a brain tumour when she was 10 years old, which left her unable to walk, talk and eat. Following treatment, Millie came to The Children's Trust for intensive rehabilitation to help her try to regain some of the skills she has lost. 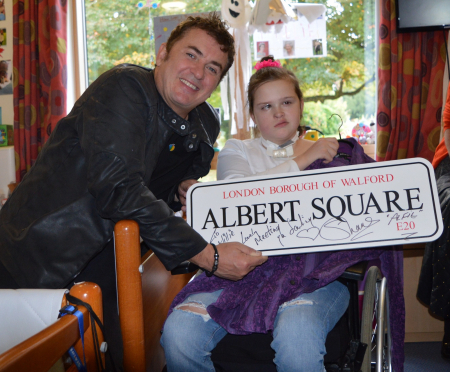 To mark her birthday, Richie brought with him an autographed Albert Square sign and one of Alfie Moon’s favourite shirts – telling her that he wanted tweeted evidence of her wearing it at her ‘Queen Vic’ themed birthday party on Friday. Photos: Shane and Millie with some of her gifts. (L-R) Shane with Millie’s grandma, Millie, grandad and Mum, Emma.